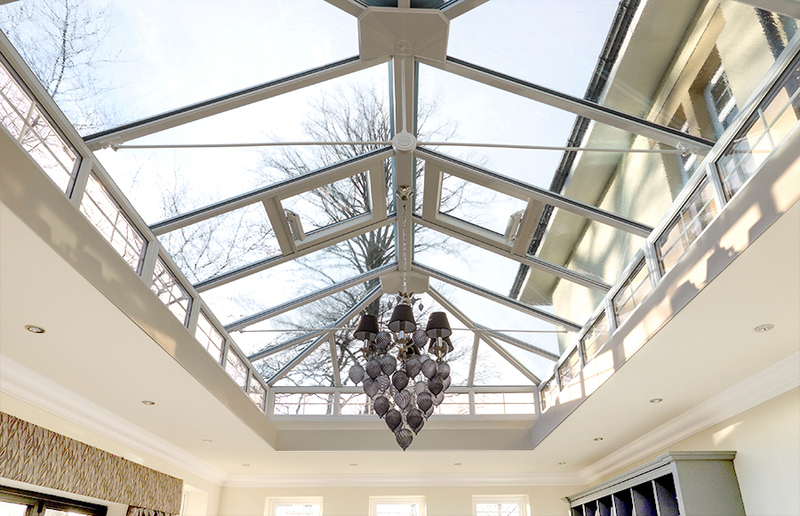 If you’re thinking about building an orangery or replacing a roof on your existing one, you’ll be able to unlock a world of benefits when you select our roof lanterns. Designed to maximise the influx of light, they’ll make your new room space feel comfortable and connected to the outside. Roof lanterns add an essential finishing touch to any orangery or flat roof. Roof lanterns work in perfect tandem with orangeries and flat roof extensions. If you’re refurbishing part of your home due to issues with light and heat penetration, roof lanterns will help you overcome these problems. Roof lanterns are optimally designed to let in sunlight, but without making the space below it too hot or too cold. By choosing one of our high-performing roof lanterns, you’ll be investing in a product that will add practical value to your orangery or extension. Because your new room will benefit from organically-generated heat during summer – and retain warmth during winter – you’ll rely less on your thermostat and reduce your running costs. Roof lanterns create space, while ensuring your new living area remains private. The extensively glazed area in your roof will invite in lots of natural light that will make the space below it brighter and seem larger. At the same time – because of its position – your lantern will allow you to relax without being watched. These two factors, when combined, lead to the creation of a room that is optimally designed for comfort. Converting an existing space into one that’s once again warm and bright means you can add value to your home. Your orangery or extension could be converted into a dining area, lounge or office – the possibilities are almost endless. A1 Glass and Glazing will work closely with you from the beginning to ensure you choose the right product from our range of roof lanterns, resulting in a design that adds market-appeal to your home. 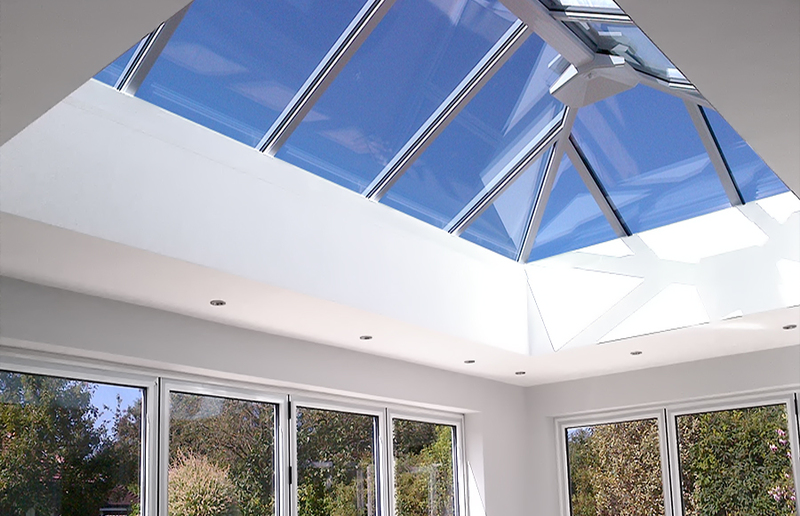 Whether you’re refurbishing an existing area or starting afresh, roof lanterns will protect your investment and pay financial dividends in the long-term. Not only will your skylight reward you with a range of cost savings and security benefits, but it will also add solid market-value to your home at the same time. Prospective buyers will be attracted to the additional space you’ve created, which they’ll be able to use to serve a range of functions. A1 Glass and Glazing is a member of FENSA. This means that the quality of our service, roof lanterns – and other double glazing products – is continually assessed to ensure it meets a high standard. When you choose us your preferred installer, you’ll be able to buy with complete peace of mind. Our roof lanterns can be complemented with a range of high-performing double glazing products that will reward you with lasting performance. Ask about our portfolio of doors, windows and orangeries when you contact us, and we’ll be delighted to provide you with further information. Get in touch with our friendly and knowledgeable team today by calling 01273 676750 or sending us a message. You can also use our free design tool to generate as many quotes as you like for our roof lanterns and any other double glazing products that are listed on our website.